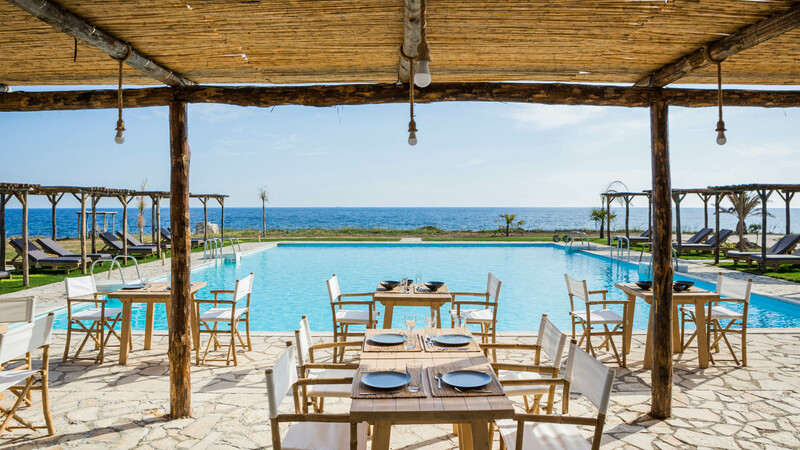 Inspired by authentic, Mediterranean cuisine, Kymata Resort dining experience aims to nurture your body and soul. our guests can choose to eat in the privacy of their own villa or at resort’s restaurant enjoying the relaxing beachfront open-air ambience. Most of the vegetables and herbs, used to prepare the refined dishes at Kymata’s restaurant, are cultivated in the resort’s organic farm. The rich Kefalonian soil combined with the Mediterranean climate of the region, have proved nourishing sources for produce of unique and distinctive tastes and aromas. The open-air bar area is Kymata’s main gathering place where you can relish gorgeous cocktails in a relaxed ambience created by wonderful lounge music. Indulge in our signature cocktails made with organic products and homemade syrups in a unique setting among the infinite blue sky and the eternal blue sea.